Many of you have expressed great concern regarding the ruling at the United Methodist General Conference last weekend, the ruling body of the global Methodist Church, the group that can change the rules and regulations for Methodist’s all over the world. They had gathered to discuss sexuality and what has become divisive words in the Book of Discipline, the Methodist Church laws which state that “Homosexuality is incompatible with the Christian Religion”. This will take a year or more to implement as it goes through the Methodist Church’s judicial system. I have spent a good part of this week in conversations, e-mails and otherwise with many of you who gratefully are very concerned for me and very concerned about this. It is not over folks. 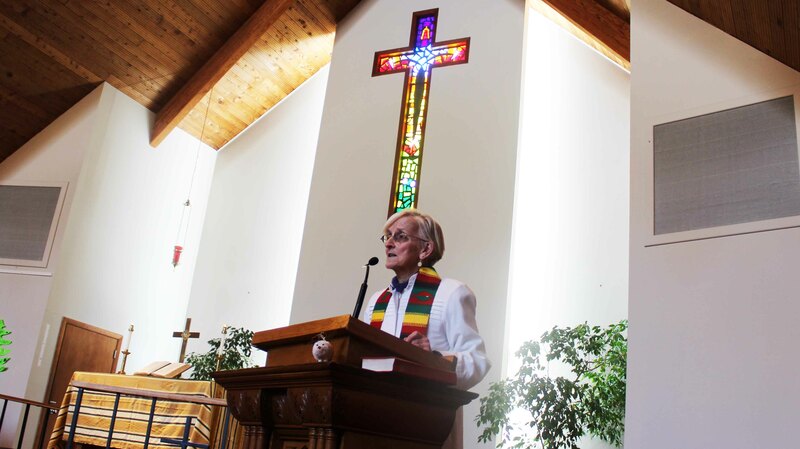 Three years ago at the annual New England United Methodist Church Conference (along with several other UMC conferences in the U.S) it was voted to be in non-compliance with the exclusive, harmful stand on sexuality already in the book of Discipline. The New England Conference would allow gay marriages and gay pastors and by that vote, affirm them. As a gay pastor I have gratefully been supported fully in my years of ministry by all my District Superintendents, as well as 2 out of 3 bishops including our present Bishop Devadhar who is a wonderful advocate, and the majority of people in the churches I have served. Moving into the future Bishop Devadhar will be working with the New England District Superintendents and the New England delegates to the General Conference for a plan to maintain and move forward as an inclusive church, as will most likely other Methodist Church Conferences who are so opposed to this turn of events. In the next couple of years God may very well create a new and stronger denominational off-shoot of the MC through this, that won’t have the conservative theology that divides so many. God is still working! There is a follow-up meeting to discuss the General Conference’s ruling scheduled in this District on Tuesday March 19 from 7-9 at the Thornton Heights Methodist Church in S. Portland or at the Brunswick Methodist Church in the Mid-Maine District on Sunday, March 24 from 2-4. At both there will be delegates who were in attendance at General Conference. I hope you can attend one or the other. If you have any questions or want to talk with me personally about this I would welcome the opportunity. Let us pray for the now Divided Methodist Church.